Mt. Hood, OR – Fat bikes are all the rage these days. 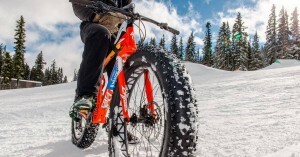 These modified mountain bikes sport tires that are twice as wide to provide traction on otherwise unrideable surfaces – like snow. They also make beach riding not only possible, but even fun. 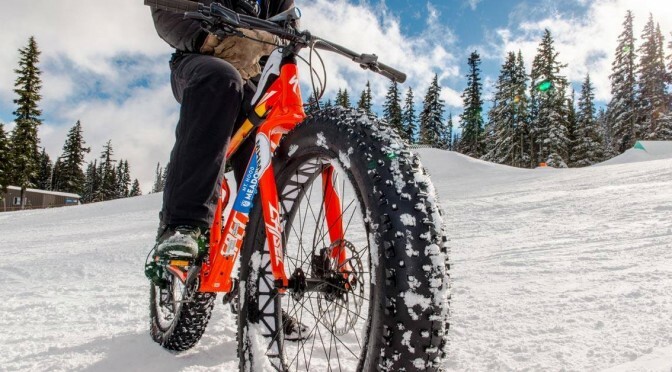 Many serious bike enthusiasts are looking at adding a fat bike to their arsenal, but recreational bike riders might also consider making the fat bike their ride of choice due to their versatility. Guests at Mt. Hood Meadows ski resort can take a fat bike for a spin for free this Friday in a special festival dedicated to fatties. Avid biker and Meadows Director of Mountain Operations Tom Scully says fat bikes make a great family activity. Meadows will provide the opportunity to try it this Friday, with free fat bike demos provided by Mountain View Cycles of Hood River and a riding area set up in Yellow Meadow (conveniently located near the North Lodge). You can also bring your own fat bike to ride on the snow course. Pre-registration is recommended (though not required) to assure a chance to demo a fat bike for free. There is no charge and you can pre-register at www.SkiHood.com/FatBike. Signed waivers are required, so parents must accompany those under 18. Meadows will make a party of it, thanks to sponsors, Mountain View Cycles, Trek Bikes, Craft Cycling Apparel and Hammer Nutrition showing off product and sampling. Experts will be on hand to talk about fat bikes and there will be some fun competitions as well. The event is scheduled from 11 a.m. to 3 p.m. this Friday, weather permitting.